The “House of Welcome” Longhouse Education and Cultural Center is a public service center at The Evergreen State College. Built in collaboration with Northwest tribes, it is the first building of its kind on a public campus in the United States. The Longhouse is a multi-purpose facility, able to serve a variety of educational, cultural and community functions. Founded upon a vision of hospitality and service, it is a gathering place for people of all cultural backgrounds to teach and learn with each other. Evergreen's Native programs began in 1972, when faculty member Mary Ellen Hillaire of the Lummi tribe, founded the Native American Studies program. She is also credited with having first articulated the need to have a culturally appropriate facility—such as a longhouse—on campus so that people from different cultural backgrounds could teach and learn with each other. Her vision for a public gathering space influenced students in the Master of Public Administration program, who wrote their thesis exploring issues relating to the creation of a longhouse at Evergreen. Colleen Jollie, Longhouse Project Coordinator, oversaw the project to its completion. 1962 World's Fair in Seattle); the Squaxin Island tribe held annual fundraising dinners; the Makah and Skokomish tribes provided cultural and spiritual leadership; and the Washington State Legislature allocated $2.2 million for the construction of the building. Then in 1995, the Longhouse opened in with over 1,000 people in attendance, including Governor Mike Lowry, and many tribal dignitaries. The inaugural year of the Longhouse coincided with the first year of the Daniel J. Evans Scholar program, which brought five Native American scholars to campus: Hazel Pete (Chehalis), John Hottowe (Makah), Billy Frank Jr. (Nisqually), Buffy St. Marie (Cree), and Sherman Alexie (Spokane/Coeur d'Alene). In 2005, the Longhouse celebrated its 10th anniversary with a huge potlatch that featured dancing, drumming, feasting and gifting. In 2009 the Longhouse celebrated a renovation and expansion with a grand re-opening ceremony and potlatch that featured dancing, drumming, feasting and gifting. 2015 marked the Longhouse's 20th anniversary, year-long programing included workshops, performances and events, to honor a milestone in the history of the Longhouse and pay respect to the work of its community. The Longhouse continues to promote Indigenous arts and cultures through a wide variety of programs. For nearly twenty years, the mission of the “House of Welcome” Longhouse Education and Cultural Center at The Evergreen State College has been to promote Indigenous arts and cultures. In the beginning, we focused on six local Puget Sound tribes and their artists. Today, we work with Indigenous artists throughout the Pacific Northwest, as well as nationally, and with other Indigenous peoples along the Pacific Rim. We enjoy convening groups of artists, providing a venue, forum and tools that are needed for artists to express their creativity. Artists are luminaries of their cultures, lighting the pathway back into the far reaches of history, and leading the way into the future with their creative vision. 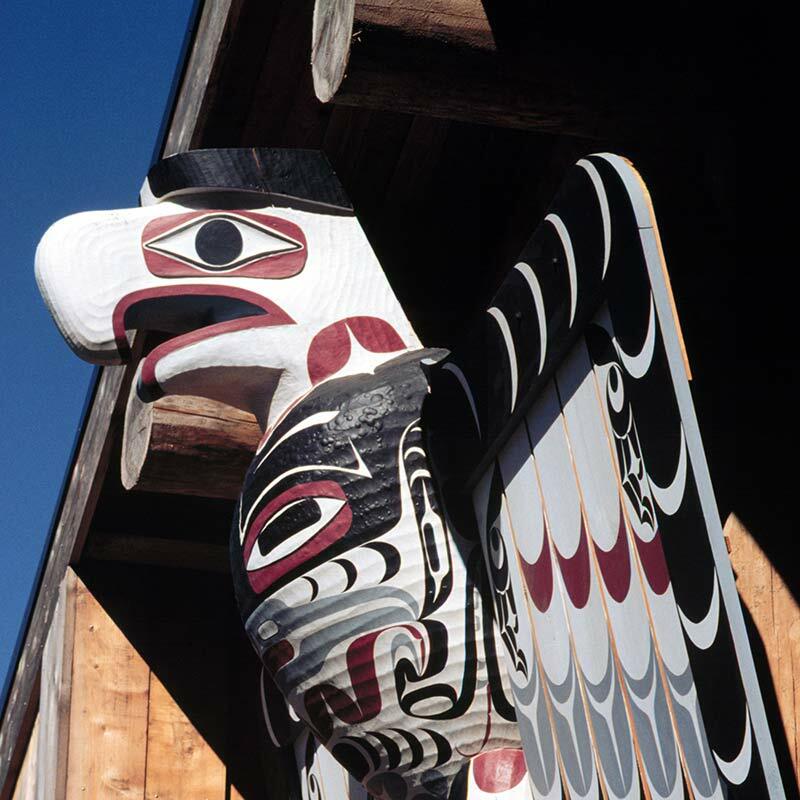 The legacies left behind by master artists, such as Hazel Pete and Bruce Miller, have provided foundational principles for the work of the Longhouse.